Way back, in 1960, several months before I began buying DC Comics regularly on my own, I got my mom to purchase a copy of the second SUPERMAN ANNUAL for me. By the time the third one hit the stands, I'd acquired the collecting habit, and from that point on, I bought ALL of the DC Annuals--BATMAN, LOIS LANE, THE FLASH, SGT. ROCK'S BATTLE TALES, the SECRET ORIGINS one-shot, and every one of the Big Red S's collections (including a belated copy of the very first Annual). Even though they were comprised entirely of reprints, I surely did love me my DC Annuals! Ever wonder if Superman's ninth was anything like Beethoven's ninth? Well, there's no way of ever knowing, because when it came time to actually publish SUPERMAN ANNUAL #9, the bigwigs at DC must've had a meeting and said--to paraphrase the German production of a latter-day hit Broadway revival--"Nein Nein, Nanette"!. Instead of the ninth SUPERMAN ANNUAL, we got the first 80 PAGE GIANT. I was eleven at the time, but I'll admit it--I clearly remember being confused when I first spotted this eagerly awaited volume waiting for me on the racks. My eyes went directly to the "number one" glaring out from atop the cover. y'see. 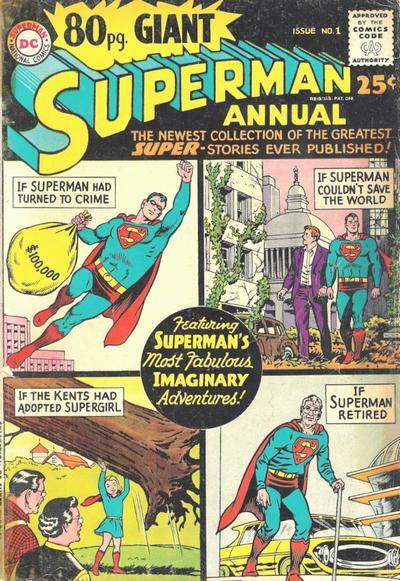 How could this be, I thought--this isn't the first SUPERMAN ANNUAL? Once I finally realized what was going on, I understood--I didn't necessarily like it, dig, but I understood. Hey, it sure wouldn't be the last time DC would cavalierly relaunch and renumber a series, but as far as I could tell, it WAS the FIRST time. 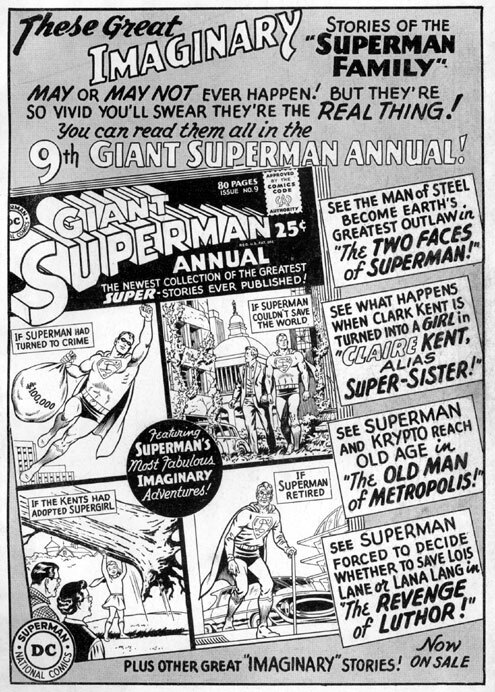 Truth is, I would've much preferred that each Annual series maintain their own numbering (even if--oops--several characters had TWO giant "annual" collections issued each year), and just compare the logos of the two covers above--doesn't the lettering for the "GIANT SUPERMAN ANNUAL" look far classier than the jagged blurb surrounding the freshly minted "80 PAGE GIANT" logo? But, y'know, maybe that's just me. So I guess that means that BATMAN ANNUAL#7--the last of the actual DC Comics Annuals--ironically devoted its next to last page to what at the eleventh hour (or more like 11:58, I'm guessing) turned out NOT to a traditional DC Annual at all, but instead just gave us a tantalizing glimpse (courtesy of the always elegant Ira Schnapp calligraphy) of what might've been. The reason I missed being at MoCCA this past weekend was because I was at MICA! MICA: Maryland Institute College of Art. They have a month-long pre-college art program there that our daughter Julie is participating in this summer--and check-in day just happened to be the very same day as the opening of this year's MoCCA Art Festival! Given that MapQuest indicated that the drive would take at least 4 hours and 46 minutes (but in reality, clocked in closer to six and half hours--both ways--thanks to long, mid-day traffic jams on the New Jersey Turnpike), transporting our girlie (AND a month's worth of gear) four states down south and getting back to put in some time at MoCCA was, regrettably, simply not in the cards. We stuck around just long enough to help Julie unpack and to meet the other three girls and their parents. (My favorite moment came when one of the mom's asked Julie where she lived, and she pointed across the hall and said "In that room over there"! Obvious to all--'cept our darlin' daughter--that's NOT the question the woman was asking, and everyone had a big laugh at her innocently delivered Gracie Allen-like reply!). June 23rd was not only the first day of the MoCCA fest, but our 28th wedding anniversary as well (big thanks to Rememberin' Roger Green for noting the occasion over on his blog this past Saturday whilst I was unable to--gracias, Mr. G! ), so Lynn and I took the opportunity to explore a little of Baltimore, a city neither of us had ever been to before. What little we were able to see of it in the limited time we had was quite impressive, particularly down by the harbor. We went to the Aquarium, had a nice Indian dinner at Akbars, and then went back to the hotel (it was a Friday to Sunday weekend excursion, y'see) and watched the Suze Orman show on CNBC! All in all, a memorable 28th! So, that's where I've been. Hope MoCCA was a big success--AND ditto for MICA! This weekend in The Big Apple, on June 23rd and 24th, MoCCA will be holding their annual Art Festival (you can read all about the specifics here). Those of you with long memories may recall that last time around, yours truly had a bang-up time attending 2006's soiree. So I was delighted when the MoCCA brain-trust asked me to be a guest at this year's event, and readily agreed. Unfortunately, in the month's since I gave them my affirmative answer, an unduckable family obligation sprung up (about which more in the days to come), so as it turns out, I WON'T be there this weekend. However, in my absence, I've decided to donate a handful of illos--ten in all--to the cause (you can view a small detail of one above). How MoCCA will dispose of my art, I'm not entirely sure--whether they'll auction it off, sell it for a flat rate, use 'em as door prizes, or give 'em out as tips to the men''s rooms attendants in the Puck Building, I couldn't rightly tell ya. But if you want to see 'em, here they all are. So have a good time everyone, and I'll see you there NEXT year! Growing up in the sixties, I'd always been something of a Beach Boys fan. "I Get Around" (backed with "Don't Worry Baby") was one of the first non-Beatles 45s that I ever bought, and a year later, in 1965, I purchased both the groups Christmas album and their new "Beach Boys Today" LP. Still, by the end of that decade, they were widely considered very uncool, and I soon drifted away from their music (returning only briefly to pick up their "Surf' Up" collection around 1972). It wasn't until a good friend I'd met in college by the name of Charlie Johnson invited me over his house and began singing the praises of Brian Wilson and the boys that I was intrigued enough to give them another listen. From that point on--sometime in 1974--I've been a major fan of the group! Right around that time, Reprise Records was reissuing their late sixties Capitol Records catalog--albums that didn't sell much the first time around like "Friends", "20/20", "Smiley Smile", "Wild Honey"--as double-discs for the price of a single! The group's new label even included the classic (if infamously underachieving, sales-wise) "Pet Sounds" as a freebie with a second pressing of one of their lesser Reprise originals, "Carl And The Passions--So Tough". Along with "Sunflower", a two record live set, and the sales phenom, "Endless Summer"--where Capitol made a mint all over again with those timeless early sixties surf and turf classics--I bought 'em all! And, much to the chagrin of my poor housemates (I was living in Buffalo at the time, finishing up college), I played 'em constantly! CONSTANTLY!! 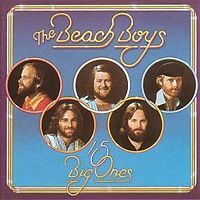 So imagine my excitement when "15 Big Ones" was released in the summer of 1976! Not only was there a tremendous hoopla surrounding the whole notion that key Beach Boy, Brian Wilson, was finally back at the helm, but for me personally, it marked the very first new bit of Beach Boy magic that I'd be in on from the absolute get-go, just like everyone else! In 1994, the New York Mets first baseman, David Segui, wound up on the disabled list, so the Mets called up a 24 year old replacement from the minors, Rico Brogna. Although he'd played a few games with the Detroit Tigers at the tail end of the '92 season, this was the first chance he'd had since then, and he sure made the most of it, hitting .351 in 39 games! When Segui returned to duty, he found himself mostly patrolling left field--and soon after, on another team altogether! He was easily one of the nicest, most well-spoken, egoless athletes to be found in the game. Given his back story--kid, mostly forgotten but plucked from the minors as an emergency stop-gap, makes the most of his big break--it wasn't hard to root for Rico Brogna. Listening to him speak and reading about him in the papers made it easier still, as for all the world he appeared to be that most rare of specimens--a big leaguer who was also a genuinely decent human being. 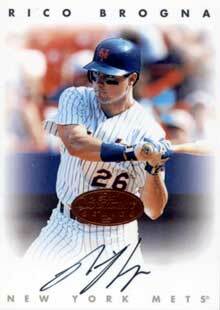 He very quickly became my favorite player on a less than dazzling Mets squad. Brogna had a decent 1995 season, but managed to play only mid-way through '96. Turned out he had a type of spinal arthritis that made him susceptible to injury, so the Mets traded him to the Philadelphia Phillies over the winter, dubious of his ability to continue suiting up to take the field. 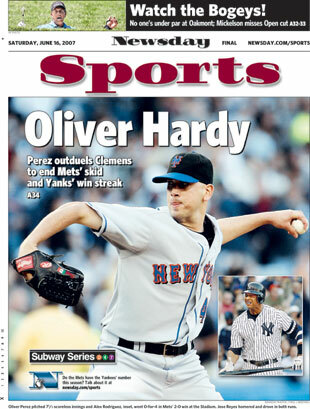 While the Mets were ultimately right--his career ended comparatively early in 2001--he did have a few fine years for the Phils before attempting to hang on with the Red Sox and the Braves before retiring. Rico Brogna was one of the few players who, once he doffed his Mets jersey, I chose to keep my eye on in the out of town box scores. His overall stats aren't overwhelming, but I'll always consider myself a big fan nonetheless, as I've always been partial to The Nice Guy, and Rico most certainly was one. So what's all this have to do with The Beach Boys? Well, one of the track son "15 Big Ones" is a minor little ditty called "Had To Phone Ya". The line that gives the tune it's title is sung in a catchy sing-songy manner--AND "Phone Ya" just happens to rhyme perfectly with Brogna!! So pretty much from the very first moment he stepped out of the Mets dugout and headed towards first base, I found myself singing softly to myself--and sometimes not so softly--"Had to phone ya, Rico Brogna"! Friends, to this day, I can not listen to "Had To Phone Ya" without thinking of Rico Brogna--and conversely, I can't hear the first baseman's name without belting out a few bars of my own modified Beach Boys tune! So today, when Ramblin' Roger Green threw the spotlight on that long-ago LP, how could I NOT warble out "Had to phone ya, Rico Brogna" a half dozen or so times? It was impossible to resist--trust me. In my mind, the two are connected now and forever. And you know, this would be pretty much the coolest blog entry EVER if I could tell you that today is not only the birthday of Beach Boy Number One himself, Brian Wilson, but the slick fielding Rico Brogna as well! THAT sure would be something!! Too bad I can't though--Brian turns 65 today sure enough, but we'll all have to wait until next April 20th for Rico to turn 38. Happy 65th birthday to Sir Paul McCartney. I bought Paul's new CD, "Memory Almost Full" when it came out last week, and upon my initial listen, it didn't impress quite as much as his last release, the comparatively edgy "Chaos and Creation In The Backyard"--but by the third spin through, I was entirely hooked! This one really stays with you, even the tunes that, on first blush, sounded slightly Macca-generic. This collection truly does belong in the upper echelon of the Cute One's solo catalog. "My Ever Present Past" is my early favorite track, but the entire aural experience is a delight. I returned home Friday to the second half of this season's Mets/Yankees inter-league Subway Series. It turned out to be a near perfect day--the Mets ended a 5 game losing streak, and stopped the Yanks 9 game winning streak in the process, thanks to a great pitching performance by Oliver Perez, winning 2-0. 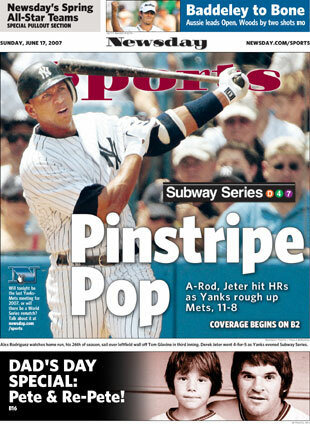 The next day, the current status quo had unfortunately returned: Tom Glavine gave up three different leads to fail to get his 296th win for the fifth time, and on Sunday, the Yankees just plain beat the Mets, splitting overall the season''s series between the two teams at 3 and 3. 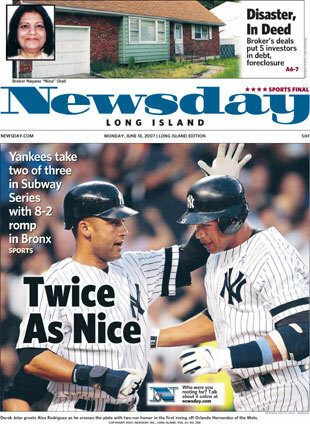 Outside the confines of the Big Apple rivalry, the Mets have lost 11 of 13 and the Bronx Bombers have won 11 of 12. The good news? The Mets are still in first place. Unfortunately, I've been a bit too busy lately to devote all that much time to posting material on the Internet. Happily, though, several other folks have stepped into the breach, recently supplying the World Wide Web with a couple of small (but tasty?...) helpings of Hembeck, so for those who might be interested (all half-dozen of you), here's the lowdown (not to mention the links...). 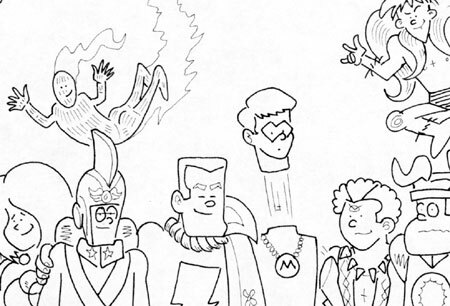 Over at The Marvel Gazette, you'll find a short (ten questions) interview with yours truly, done via the email route. It's a fun site, so you may want to stick around awhile and give it a look-see . Currently, my Q&A is located here, but in short order, it'll be moved over to this page with the other interviews. Hey, if you REALLY want to read it, you'll find it, right? Then there's Rob Kelly's aptly named Aquaman Shrine, where you can find an illo I did of the Sea King and wife Mera for Rob's sketchbook several years back. One of the folks in the comments section actually confessed that he finds my rendition of Mera attractive!?! Anybody out there care to second that? Well, that's all for now--bye! And speaking of bargains, about a week back, the whole family went down to MoCCA--and got in for free! The occasion was a 50th birthday wing-ding for our compadre, Jim Salicrup, and I've written up a report of moderate length and posted it over at the little used Life Story section of my site. Go here to read all about it--and don't forget to check out the nearly two dozen photos that are included as well! Like the "Sgt. Pepper's Lonely Hearts Club Band" LP. I distinctly recall getting in the back seat of the car after purchasing my newest aural treasure and eagerly pulling it out of the bag, and then ripping off the shrink wrap. Sensing my excitement, my dad asked me just what exactly it was I had there. "Um, "Sgt Pepper's Lonely Hearts Club band..."
Once I got it home to my turntable, much to the chagrin of the aforementioned older generation, I played it over and over, repeatedly (except--sorry George--I had a habit of dropping the needle right on "When I'm Sixty-Four" when I flipped the disc and skipping "Within You, Without You" altogether more often that not. I later came to better appreciate the number, though an"It's All Too Much" it's not...). In late June, though, my much beloved maternal grandmother died, albeit not unexpectedly. She was the only grandparent I ever knew, y'see, and this being my first real brush with the grim reaper, for awhile there, the music of "Sgt. Pepper" couldn't help but remind me of her passing--especially the magnificent but unsettling "A Day In The Life" ( the record's absolute peak). Eventually, I was able to listen to the album without thinking of my late Nannie, but it's sorta ironic that, for most everybody else my age back in the day the music that most epitomized "The Summer of Love" for me instead (if only for a little while) represented "The Summer of Death". 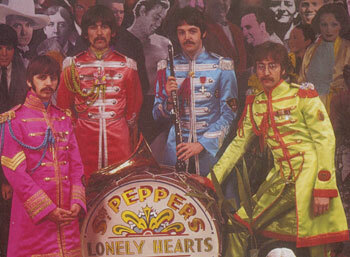 For more "Sgt Pepper" anniversary goodness (posted on the proper day no less, bless their punctual li'l hearts), may I recommend you check out a track by track review of the LP provided by Johnny Bacardi, some thoughts on a book we both own over at BookSteve's Library, Roger Green's always cogent reflections, and a wonderfully expansive collection of "Pepper" pieces provided by John ("This Is Pop Culture!") Firehammer! Fab reading, each and every word!